I moved to London in the summer of 1967 to study at the Gurdjieff Foundation while working on a Ph.D. at the Maudsley Institute of Psychiatry. 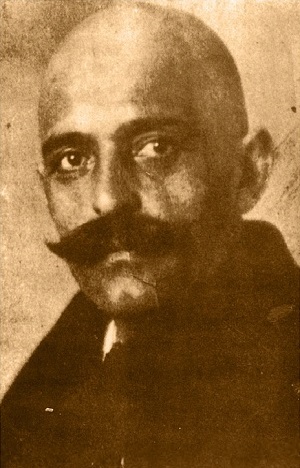 Not long after my arrival, I learned that some of Gurdjieff’s direct disciples, whom I regarded as quite realized beings, were visiting a Tibetan Buddhist lama somewhere in London. I was shocked. How could this be? While we had been repeatedly and emphatically told not to shop around for other teachers, and to stay within “the fold,” I soon found myself sneaking off to the London Buddhist Society to have a look for myself. Little did I know that my entire world was about to be turned inside out. My meeting with Trungpa Rinpoche that day will be a story for another occasion. Fast forward six years to 1973 … to Boulder, Colorado (then the home/headquarters of Vajradhatu, now Shambhala). At the time I was the controller for Vajradhatu and Nalanda Foundation. One afternoon I accompanied the Vidyadhara to the shrine room at 1111 Pearl Street, where I assisted him in rearranging a shrine object or two. Here is the conversation that took place that day. Not long after first meeting the Vidyadhara, I felt an urge to make some kind of offering. The best I could offer to Rinpoche at the time was a copy of Ouspensky’s In Search of the Miraculous, on the teachings of Gurdjieff. Over the next nine years or so, there were a number of occasions where Rinpoche would bring up Gurdjieff, saying things like, “You have absolutely no idea how many tricks Gurdjieff and I could play on all of you.” Whenever he spoke of Gurdjeiff, it was as if Gurdjieff himself were alive and perhaps in the next room listening and smiling. 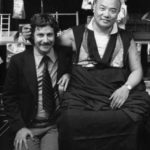 One day in 1981 Rinpoche called me into his office. He again brought up Gurdjieff, but this time in a somewhat more personal way. He proceeded to dictate a letter to me with the instructions that it be mailed to my former Gurdjieff teacher in London, Basil Tilley. Mr. Tilley was a direct disciple of Gurdjieff. The gist of the letter was that Trungpa Rinpoche had identified Gurdjieff’s incarnation and that this time around, Gurdjieff was a woman, and a Buddhist! Rinpoche added, “Isn’t it just like Gurdjieff’s humor to reincarnate this time as a woman?” He finished with: “Gurdjieff felt he could best serve others by returning as a Buddhist this time.” He then asked me to mail it to Mr. Tilley. Rinpoche seemed quite pleased. I found myself spacing out and forgetting to mail the letter. Every few days the Vidyadhara would peek into my office and ask in his high-pitched voice, “Did you mail the letter?” I would say something like, “Oh, sorry, I’ve been really busy … But I will mail it.” This scene repeated itself about three times until I finally gave up and dropped the letter in the mail, knowing that we would never hear back from Mr. Tilley. 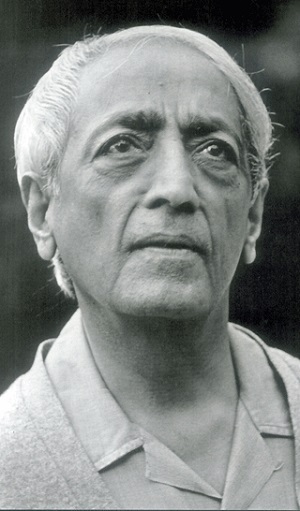 **Jiddu Krishnamurti (12 May 1895 – 17 February 1986) was a speaker and writer on philosophical and spiritual subjects. In his early life he was groomed to be the new World Teacher but later rejected this mantle and disbanded the organization behind it. His subject matter included psychological revolution, the nature of mind, meditation, inquiry, human relationships, and bringing about radical change in society. He constantly stressed the need for a revolution in the psyche of every human being and emphasized that such revolution cannot be brought about by any external entity, be it religious, political or social. ***Ramana Maharshi (30 december 1879 – 14 April 1950) is widely acknowledged as one of the most highly realized Indian gurus of modern times. 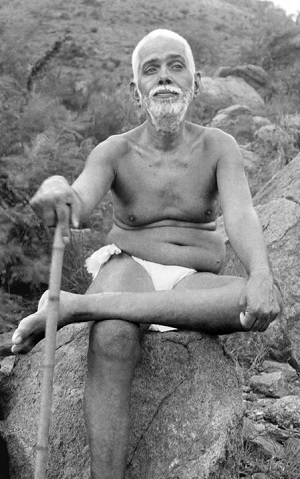 At the age of sixteen, he had a profound enlightenment experience, and six weeks later left his home to journey to the holy mountain Arunachala, Tiruvannamalai where he remained for the rest of his life. His first years were spent in solitude, but the extraordinary quality of his presence soon attracted devotees. In later years, he responded to questions, but always insisted that silence was the purest teaching. His verbal teachings flowed “from his direct knowledge that consciousness was the only existing reality.” A community grew up around him, where he was available to visitors twenty-four hours a day. Though worshipped by thousands, he never allowed anyone to treat him as special, nor did he receive private gifts. He treated all with equal respect. Ramana recommended self-inquiry as the principal way to realize the self and attain liberation. When we listen to a speaker, we are gathered and expectant. We expect an ideal message or certain edifying ideas from the speaker. Because of our need to satisfy our intellect and emotions and to get some security, we want to hear words of wisdom, and we remold the speaker’s words to satisfy that need. We shape them and reshape them, manufacturing fixed and definite impressions from the raw materials of the speaker’s words. The result is that we constantly have nothing but ourselves bouncing back on ourselves. That is always a problem. It is very difficult to find both an audience who will sit in no-man’s land and a speaker who speaks from no-man’s land. That kind of attitude is very difficult, extremely hard to find. — From “The Tibetan Buddhist Teachings and Their Application,” in The Collected Works of Chögyam Trungpa, Volume Three, page 518.